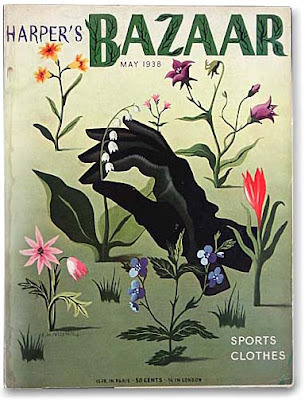 This Harper's Bazaar magazine from May 1938 is a bit of a standout. It was one of many Harpers' covers designed by A.M. Cassandre (1901-1968), who had gained considerable fame for his poster design and typography by this time. 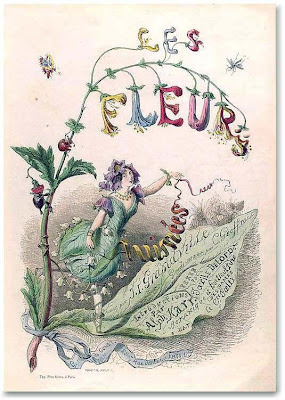 His surrealistic cover design is a vast contrast to the Victorian era title page and cover designs below, but I wanted to include it in this earthly garden of lettering delights. 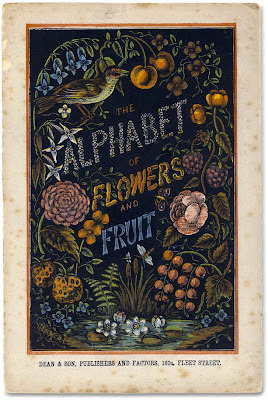 The two separate Alphabet of Flowers books featured here, are childrens' books with paper covers printed from wood engravings and published by Dean & Son in England during the late 19th century. 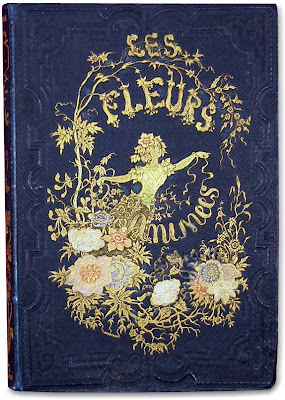 The book below is likely the older of the two books and I would speculate they are handlettered and illustrated by the same person. 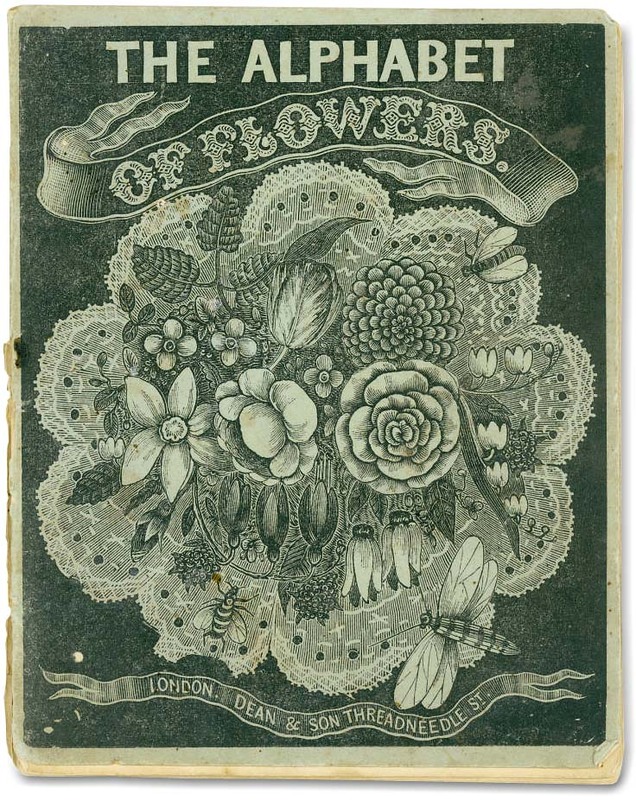 Both are from the Historical Children's Literature Collection at UW Special Collections Library. 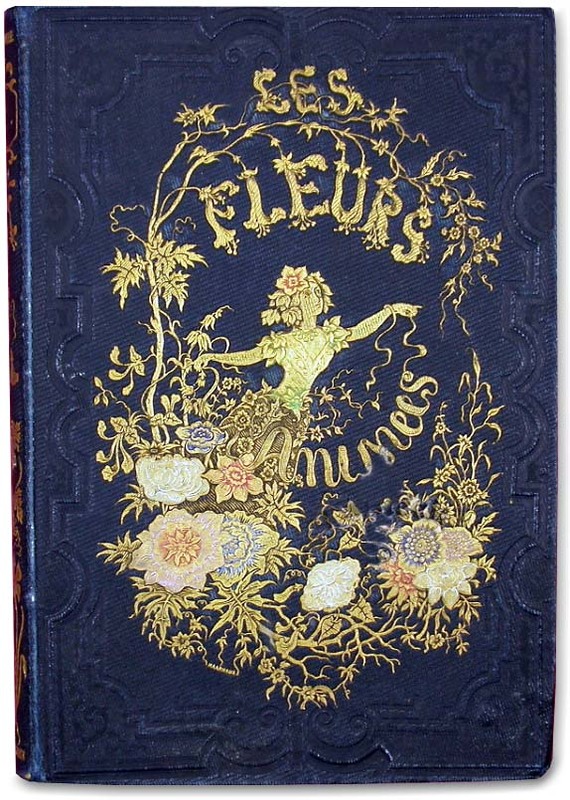 The Les Fleurs Animées cover and title page win the prize for the most elaborately illustrated lettering for the title. 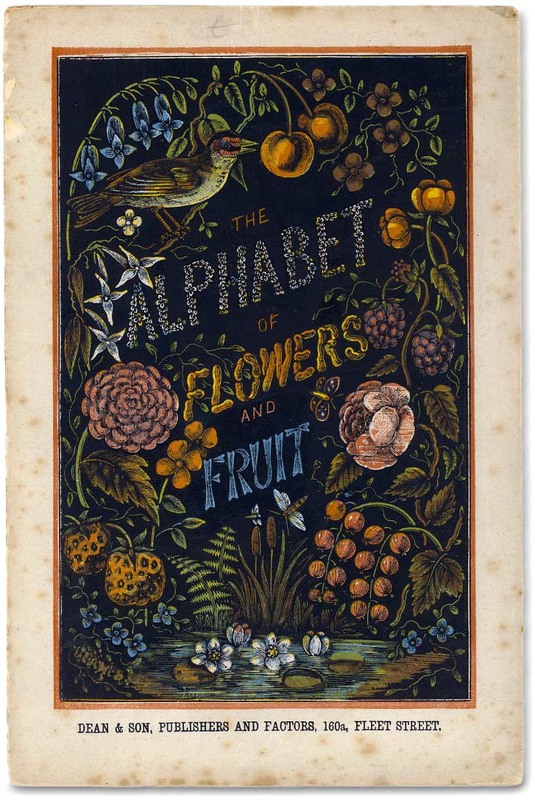 Nature lettering was a very popular practice in Victorian times. 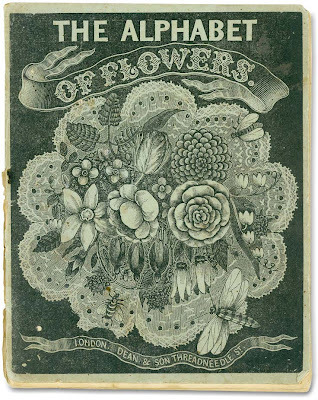 :: The title page is from Vintage Printable, and the cover design from Lourania. I'm happy to feature them together. Thank you so much for all the beautiful items you feature in your posts. I learn so much and enjoy what you choose to publish. Gorgeous, thanks for the inspiration from the past. Thank you for your kind words suzieQ! You are most welcome, and I am happy to know you are enjoying things here. I do try my best to keep it interesting as time permits. Always nice to hear from readers!